ASU Regents’ Professor Bruce Rittmann, Crown Princess Victoria of Sweden and Professor Mark van Loosdrecht are presented with the 2018 Stockholm Water Prize. ASU Regents’ Professor Bruce Rittmann received the 2018 Stockholm Water Prize in Stockholm along with Professor Mark van Loosdrecht of Delft University of Technology. 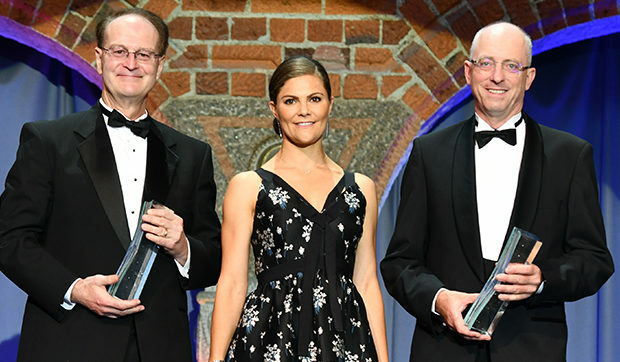 The prize, which honors microbiological research and innovations that have revolutionized water and wastewater treatment, was presented on August 28 during World Water Week by the Crown Princess Victoria of Sweden.